Rainbow Row, 1910 … looking south along East Bay Street from Elliott Street. 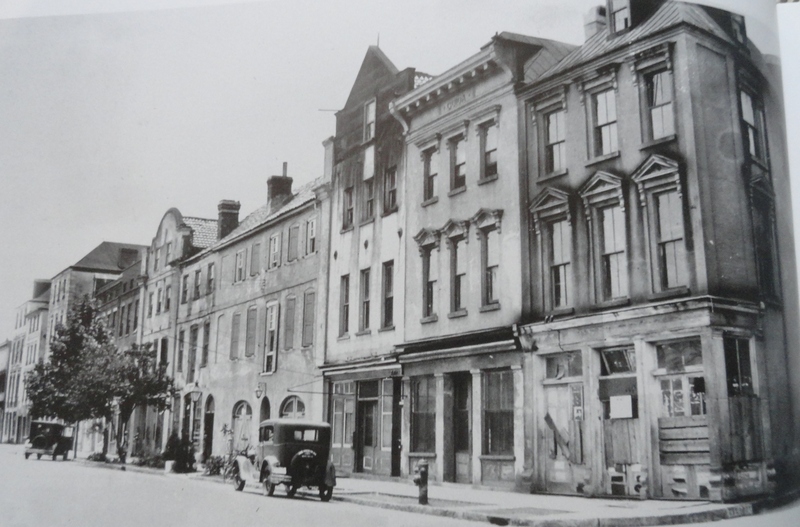 This famous group of buildings at 79-107 East Bay Street are excellent examples of 18th & 19th century wharfside mercantile life in Charleston. They were built as individual businesses and residences by prosperous merchants with the ground floors used for commercial use and the upper floors for homes and boarding rooms. 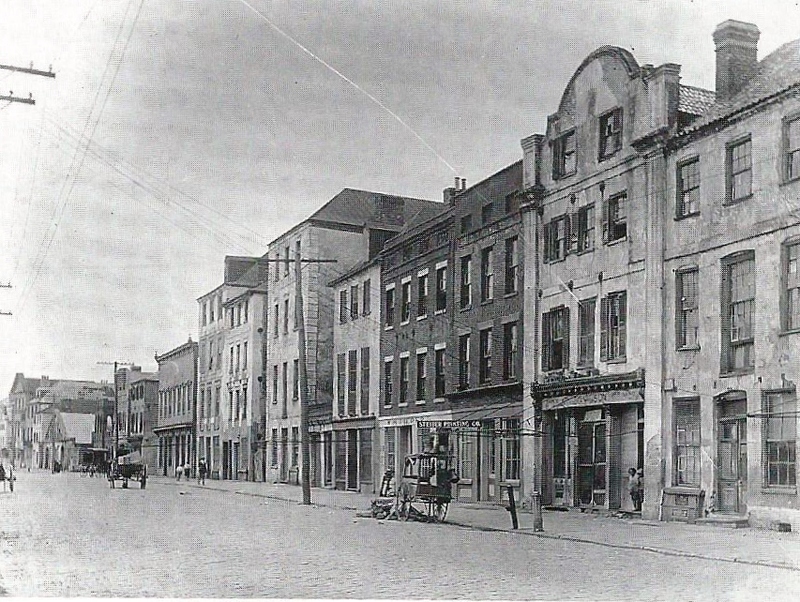 Rainbow Row, 1910, looking north along East Bay Street … from Tradd Street. Post Civil War the entire area fell into neglect due to the economics of the time. The wharves along East Bay Street were abandoned and the waterfront silted in, making the area unusable for shipping. The buildings along the Row deteriorated into slum-like conditions by the time of World War I.
Rainbow Row, 1920s, looking south along East Bay Street … from Elliott Street. In the 1930s Dorothy Porcher Legge renovated her house at 99-101 East Bay Street and came up with the concept of different pastels colors as a homage to the Colonial Caribbean heritage of the Charleston merchants. As the entire Row was renovated and each individual building was painted a pastel … the nickname Rainbow Row came into use to describe the street. MythBuster: The colors WERE NOT painted on the buildings so illiterate slaves could identify individual businesses! 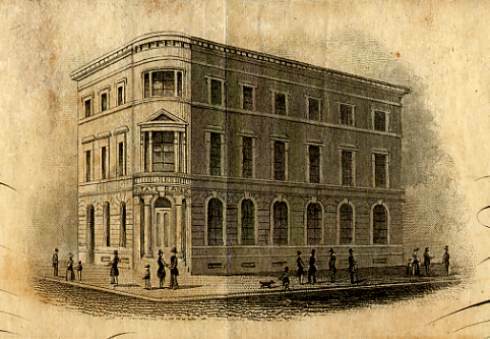 1 Broad Street, Harper’s Weekly. East Bay Street to the left, Broad Street to the right. An handsome 1853 structure designed and built by Edward C. Jones and Francis Lee, prominent Charleston architects in the Italian Renaissance Revival style. It is faced with Connecticut brownstone at a cost of $100,000 for the State Bank of South Carolina. 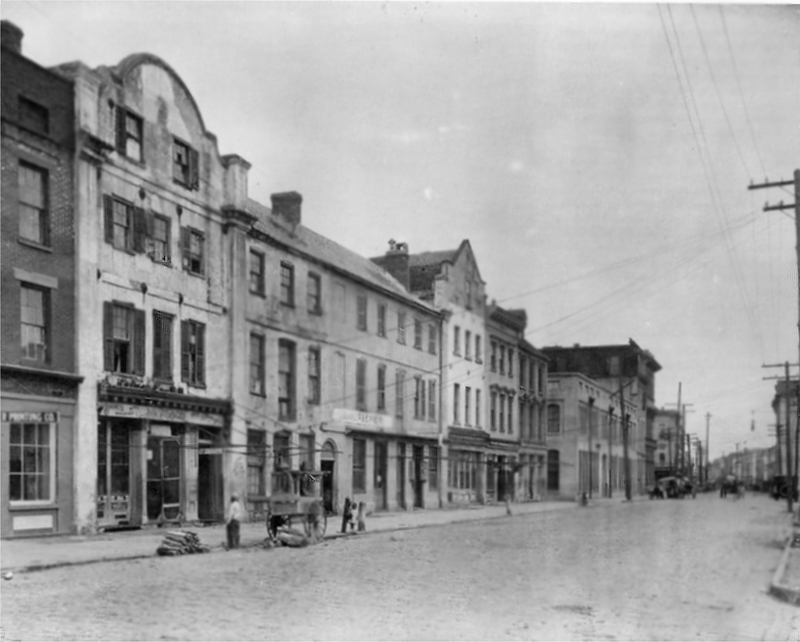 During the War Between the States, the building sustained damage by Federal shelling and was purchased and rehabilitated by George A. Trenholm, infamous Charleston blockade runner and former Treasurer of the Confederacy. Trenholm was sued by the Federal government after the War for the import duties on his illegal blockade goods and was forced to liquidate the building. 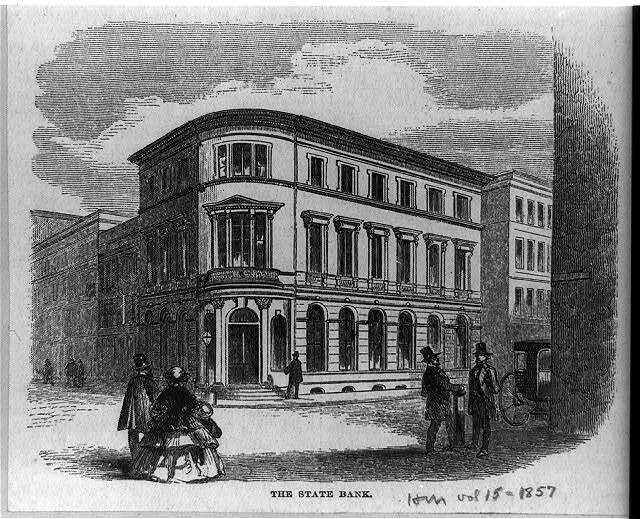 An engraving showing the Bank of the State of South Carolina building in Charleston from a bank stock certificate. 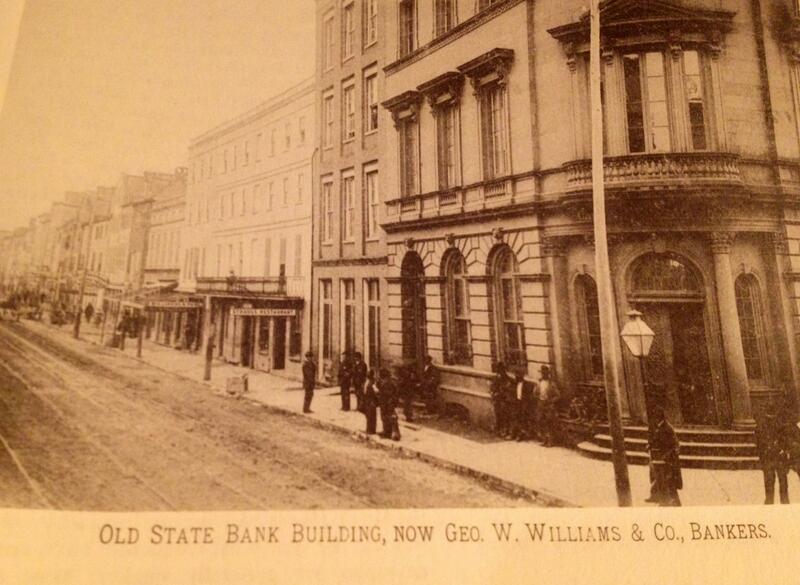 In 1875 the building was purchased by another former blockade runner, George W. Williams, who founded the Carolina Savings Bank in the structure. By 1897 the bank was on the first floor while the second floor housed the offices for Southern Bell, the new established phone company. The third floor housed the local office of the U.S. Weather Bureau. Throughout the 20th century, the building housed a series of banks. It is currently vacant. German-born John Seigling started his music store in 1819 on Meeting Street, selling harps, pianos and wind instruments. He relocated to 243 King Street (at the bend) after the 1838 fire. During the War (Between the States) Seigling’s firm manufactured drums for the Confederate Army. 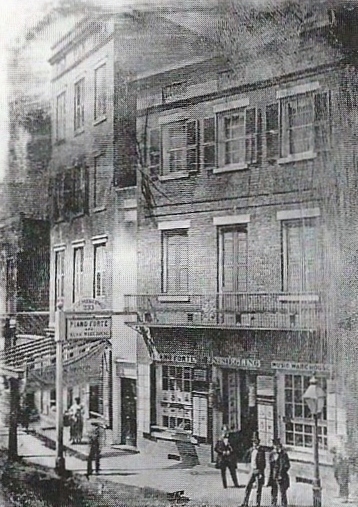 C. Casimer Seigling closed the store in 1970, after being a Charleston institution for 150 years.